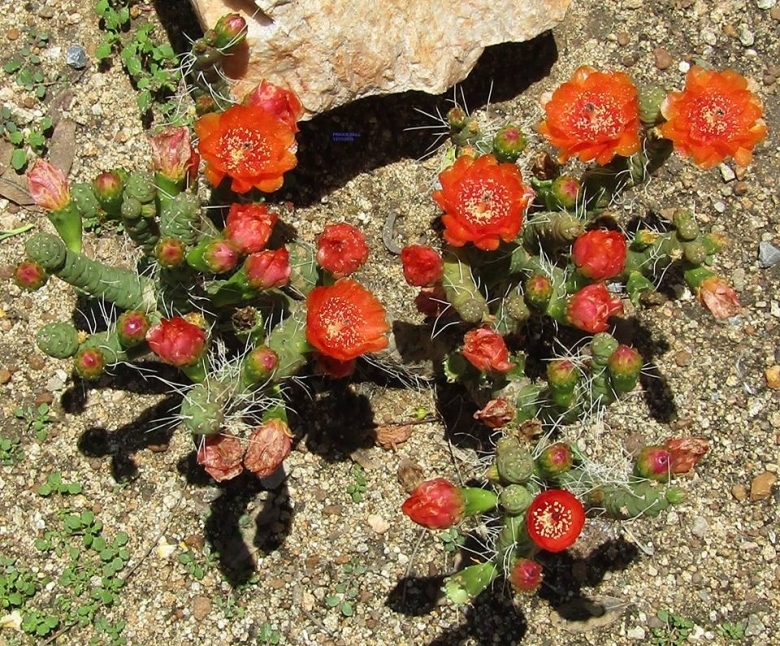 Origin and Habitat: Austrocylindropuntia verschaffeltii can be found in Argentina in La Rioja, Catamarca, Tucumán, Salta and Jujuy, and in Bolivia. Altitude range: 1,500 to 3,000 metres above sea level. Habitat and Ecology: The species grows in high altitude grasslands in barren hills on rocky soils. 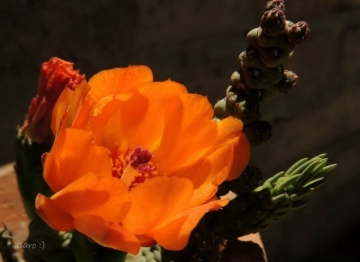 It grows in the sun between gramineous vegetation. Austrocylindropuntia verschaffeltii is frequent but not abundant. It is widespread where it occurs and there are no major threats for this species. 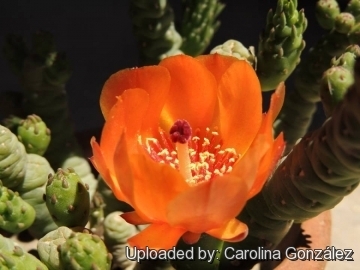 Description: Austrocylindropuntia verschaffeltii is a much branched shrubby cactus, that forms low, dense clumps 10-30 cm high that looks sort of like worms growing out the ground. The shoots are oblong and round and with cylindrical leaves when young. 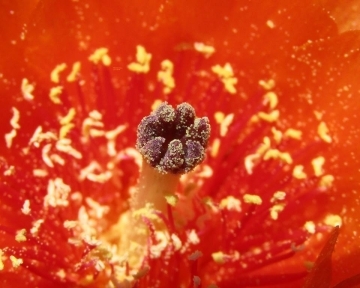 The flowers are orange or coppery red and are produced on young plants. Stems: Joints globular-ellipsoidal to short-cylindric 1 to 10 cm long, somewhat tuberculate, pale green, becoming woody at base, green when grown in partial shade or low light, but when exposed to full sun they blush an attractive purple-red colour, new growth a burgundy in winter, sometimes producing small globose segments by acrotonic branching (with most developed branches located near the top of the mother branch). In cultivated plants joints are much more elongated, 6 to 21 cm long, slender, 1-1.5 cm in diameter, strongly tuberculate, and often spineless. Areoles: Small, narrow, longer than broad, filled with short white wool. Glochids few, white. Leaves: Rudimentary, awl-like, terete, persistent, 0.5-3 cm long. Spines: Variable, sparse, usually 1 to 3 (occasionally up to 7), yellowish, weak needle-like or bristle-like, 1-6 cm long straight or bent, sometimes interlacing, sometimes absent. 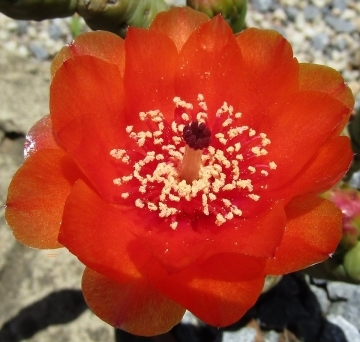 Flowers: Numerous, orange-red to copper-red, to 4 cm long; pericarpels with few areoles, slightly bristly at rims. Fruits: Ellipsoidal to pear shaped, spiny or spineless. 3) Lowry, M., Perea, M., Kiesling, R. & Trevisson, M. 2013. 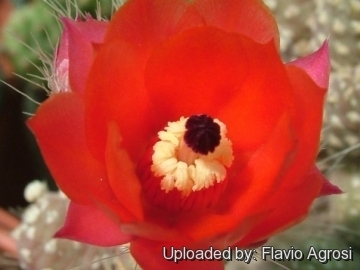 “Austrocylindropuntia verschaffeltii.” The IUCN Red List of Threatened Species. Version 2014.3. <www.iucnredlist.org>. Downloaded on 13 December 2014. 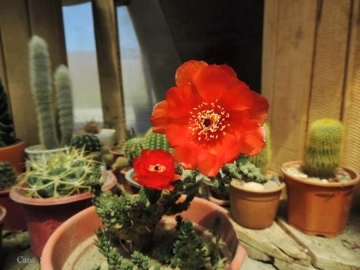 Cultivation and Propagation: Austrocylindropuntia verschaffeltii is a xerophytic, summer-growing, species adapted to very dry soils that, like many cacti of mountainous areas, likes bright light, cool and dry conditions in the winter; this is important for the flowers as well as for their health. It is somewhat rot prone if kept in a non ventilated place. Heat tolerance: It cannot endure any standing heat. 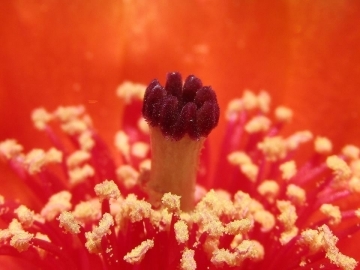 Propagation: Seeds, or (usually) cuttings. The seeds can be sown in pots of fine, well-drained sandy soil, any time during the spring when temperatures are warm. The seedlings should not be disturbed until they are well rooted after which they can be planted separately in small pots. 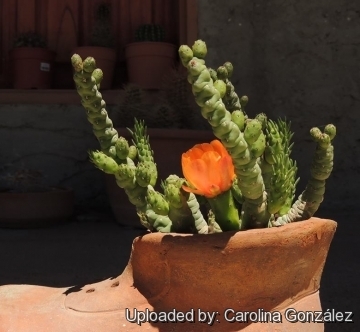 Cuttings of healthy shoots can be taken in the spring and summer (let dehydrate the cuttings for a few weeks and the roots will coming quick) Once the callus forms, the cutting may be inserted in a container filled with firmed cactus potting mix topped with a surface layer of coarse grit. They should be placed in the coarse grit only; this prevents the cut end from becoming too wet and allows the roots to penetrate the rich compost underneath. Cuttings will take root in a minimum temperature of 20° C (but better in hot weather).